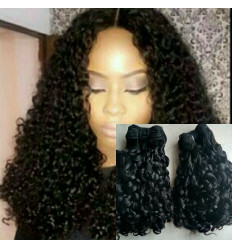 This set of our Funmi Curl Hairs include Magic Curl, Super Trendsetter Curl, Russian Bounce and Diamond Curl. You can never go wrong with any of these hairs. They are Hairs that are sure to stand you out from the crowd. They are all Double Drawn Hairs. Getting this combo saves you a huge amount of money. * You can contact us if you need a special order of these hairs.